A simple and fast method to create PCBs without the exposure step. 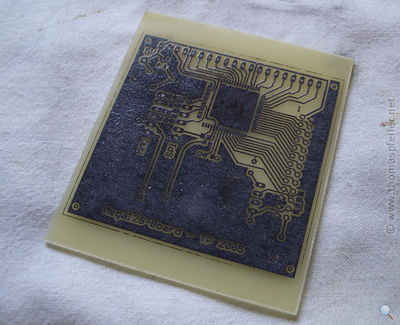 Instead of photo-resist, toner of a laserprinter is used as etch-resist. 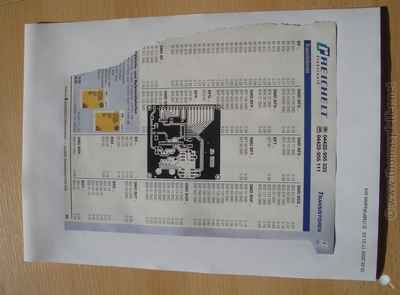 The layout is printed with the laser printer on a page of a "Reichelt-Catalog (it's a german Distributor, the pages of some magazines also works well). If there are problems with paper-jam, use Scotch tape to stick the catalog side at the top of a page of typewriter paper. The Layout should be mirrored (i.e. typo not readable). Remove dust and fingerprints on the board with acetone. That is important, otherwise the toner will not retain. Cut out the layout an put it with the printed side on the board. If necessary, you can fix the layout with Scotch Tape. Put a linen cloth (i use an old purchase bag) on the board. 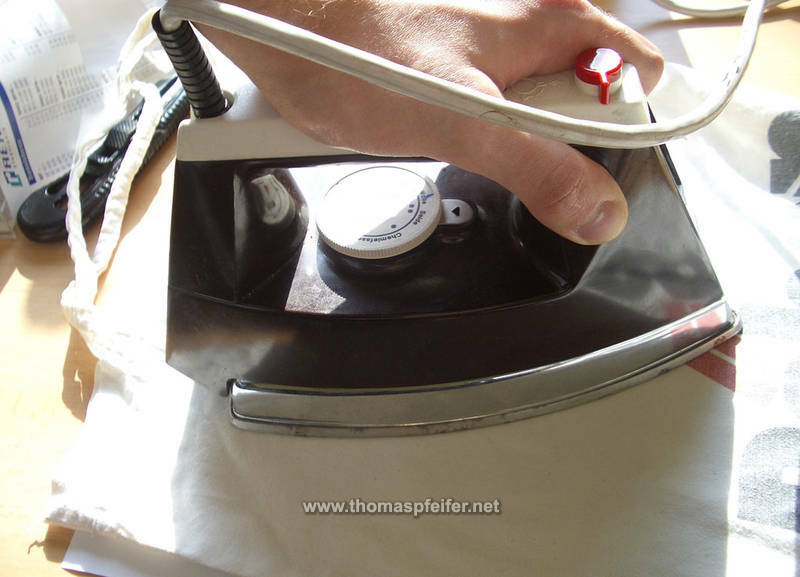 Iron the layout on the board with circling movements and light pressure. Thereby the correct temperature is important. If it is too high, the toner becomes too liquid and the strip lines become blurred. 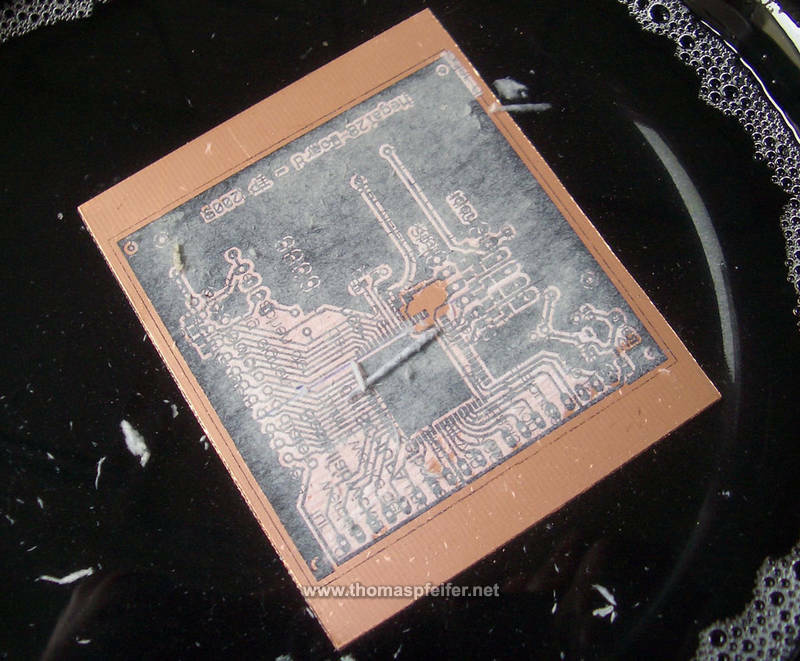 If it is too low, the toner does not retain on the copper. A setting between “wool” and “silk” works good for me. Wait until the board has cooled down. Put it in a plate with cold water and somewhat soap. After some minutes you can carefully remove the paper by rubbing it. The toner should remain on the board. 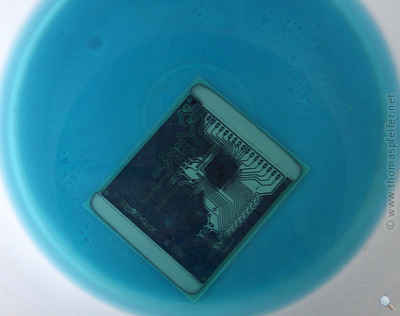 If not, you can remove the toner with Acetone an try it again. 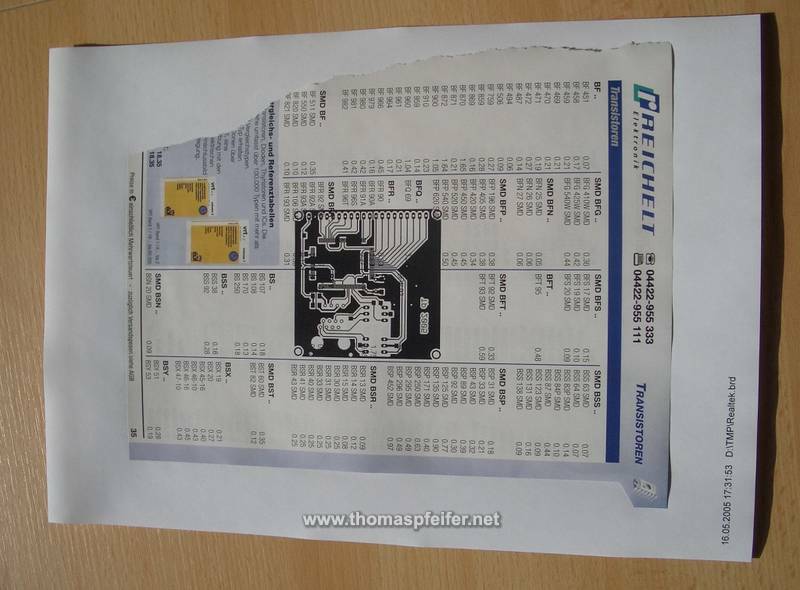 After removing the paper roughly, one can "burn in" the toner optionally. Set the Iron to the maximum and put the dry (!) board on it for a few minutes. The toner becomes again liquid thereby. Thus smallest holes are closed and the toners connect themselves optimally with the copper. 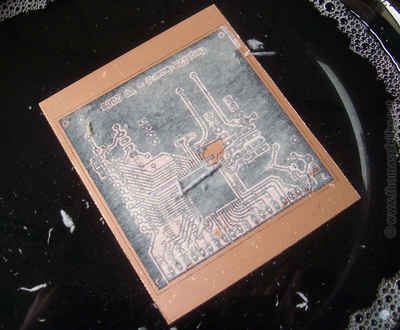 Now the plate is put into the etching bath. I use an old bucket. 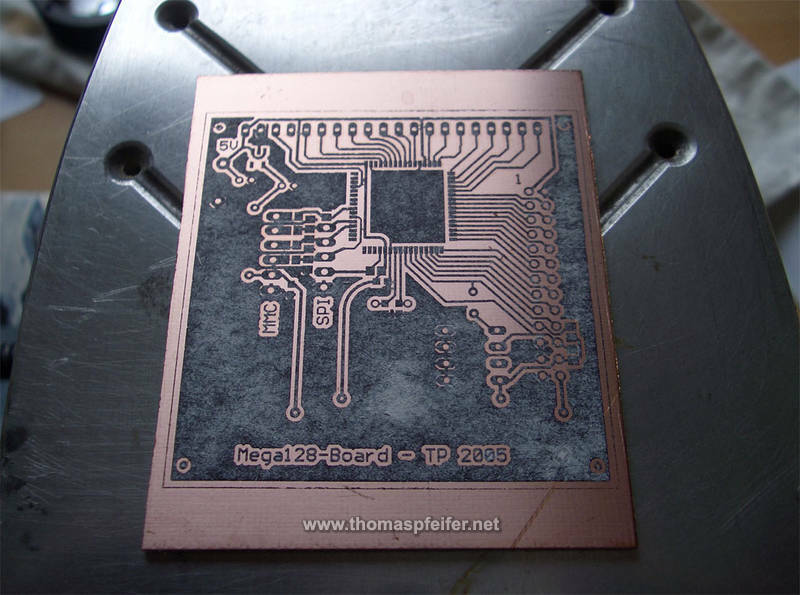 After etching, you only have to remove toner. 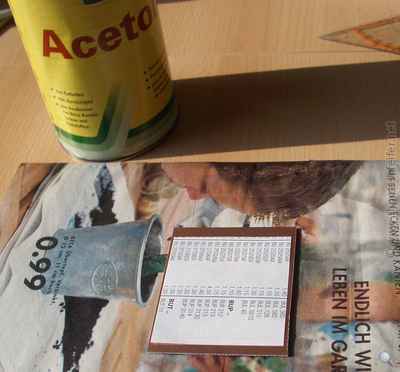 This can be easily done with acetone. 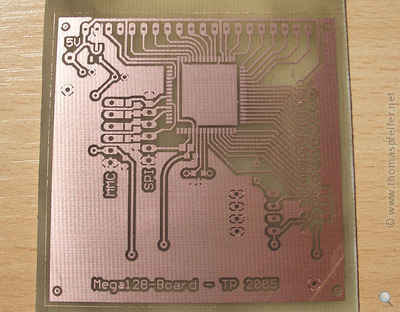 I have made several PCBs with this method, partly with TQFP SMD parts. 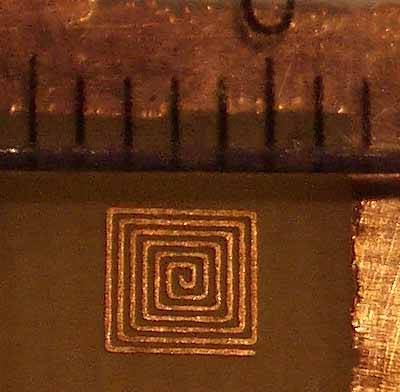 In a test i have etched 3 mil (0,0762mm) conductive strips (!). 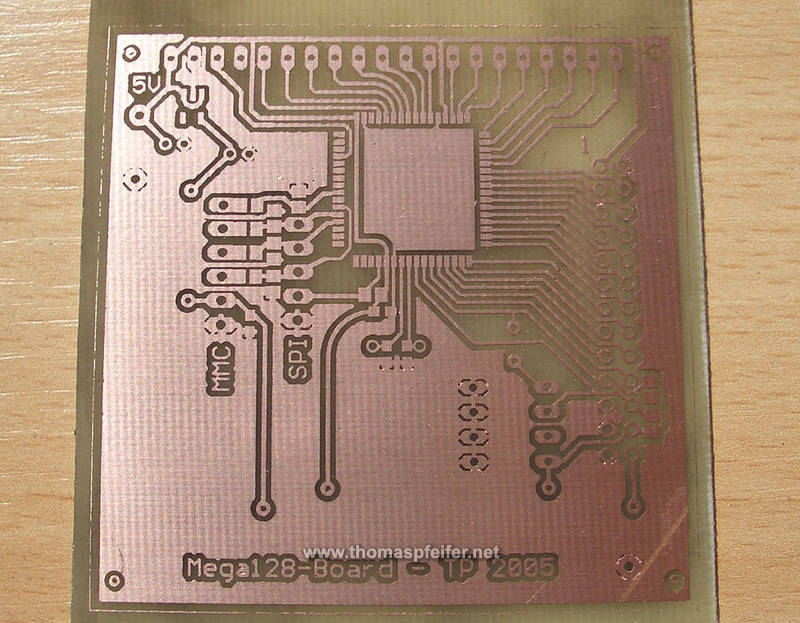 The Tonertransfer-Method as a Video-how-to (single-side, fuser, laminator, tin-platet). The Video is in 4x time lapse.